‘P.S. 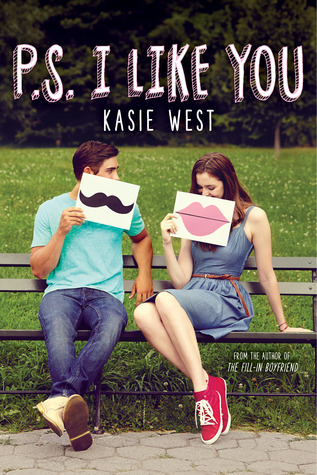 I Like You’ is an amazing novel written by famous American YA author Kasie West. Her books have been named as ALA Quick Picks for Reluctant Readers and as YALSA Best Books for Young Adults. This storyline follows an ordinary schoolgirl called Lily trying to investigate who is her anonymous like-minded friend. What an intrigue!Lily has never been interested in chemistry an the only way she can withstand it is writing her favorite song lyrics in her notebook and then, when her teacher took it away, scribbling it onto the desk. The next day to her surprise, she finds that someone has continued the lyrics on the desk. Also somebody has left the message to her. And she begins to feel better about boring chemistry lessons and starts slowly falling in love with her shadowy friend. As their letter’s exchanging continues they start sharing their secrets, recommending bands, and becoming close to each other. West wrote an incredible plot that never disappoints or seems to be dull and boring. The storyline is really well-developed. You will be interested in watching Lily’s difficult relationships with her family and friends, will completely become immersed in her little world. You will see how she grows and changes her mind about all the situations that happen to her. Moreover, the book is so light and funny that the reading will be a great pleasure. Mostly it is because Lily’s character is absolutely hilarious. She will make you burst out laughing several times and cheer you up during the whole book. Lily is such a bright personality that you can not help falling for her! This charming novel is highly recommended to those readers who like teenage love stories with a lot of witty and sweet moments as ‘P.S. I Like You’ will raise your spirits and leave you with a happy smile from ear to ear.